Visit your local high school to get an age certificate. Work permits, also known as age certificates in Colorado, allow minors, under 18 years of age the opportunity to find and gain employment. Certain restrictions and guidelines must be followed by the employer during and after the hiring process. For example, minors are only allowed to work specific hours throughout the school week. By following a few steps, obtaining an age certificate is simple. Gather required documents before visiting your high school. 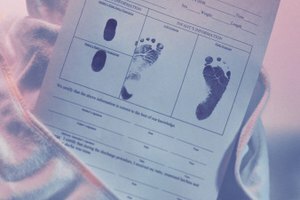 Locate your birth certificate, passport, hospital birth record or baptismal certificate to show proof of age. Photocopies of these documents are acceptable. Visit your local high school. Request to speak with the school guidance counselor or other office personnel issuing age certificates. Present age verification documentation to the administrator. Age certificates display the student’s name and address, date of birth, the issue date of the certificate, school hours permitted to work, and a statement concerning the type of documentation given for age verification. Give the age certificate to your employer. The certificate will remain on file throughout the duration of employment and will be returned, at the student’s request, upon termination of work. If you are unable to provide age verification, visit a local courthouse with your parent or guardian and take an oath in the presence of a judge or other court official declaring your age. Schools usually operate on modified schedules during summer hours. Contact your school to verify the days and times of operation. For minors 16 and younger, completion of a separate school release permit is required in order to work on school days during school hours. Signatures are required by both you and a school administrator. Minors under the age of 16 may not work beyond six hours, unless the next day is not a regular school day. Employers are not permitted to let minors work more than 40 hours per week or more than eight hours within a 24-hour time period. Any hours beyond this is permissible only in emergency situations. Jalisa Summerville is a social worker and former high school occupational English teacher who began writing in 2006. She has written grants for nonprofit organizations serving underprivileged children. Summerville holds a Master of Social Work from East Carolina University. Summerville, Jalisa. "How to Get a Denver Work Permit." Synonym, https://classroom.synonym.com/how-7523587-denver-work-permit.html. 07 August 2017.